Michael Phelps: The untold story of the greatest swimmer ever! 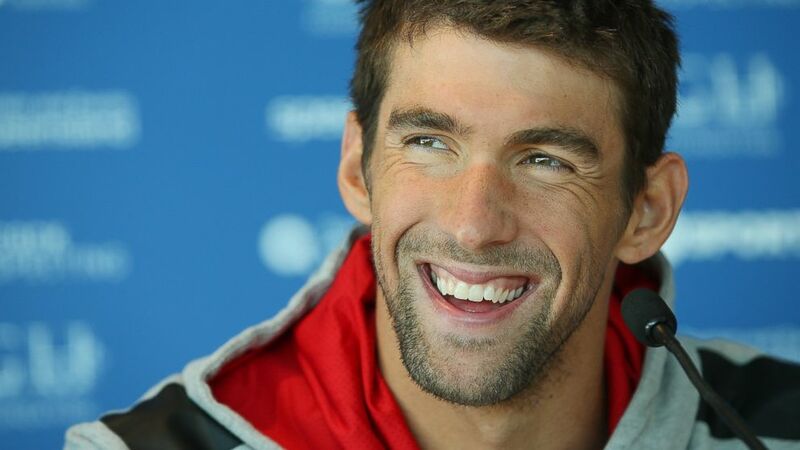 Micheal Fred Phelps is an American swimmer and the most decorated Olympian of all time. With a total of 26 medals, Phelps also holds the all-time records for Olympic gold medals (22, more than twice that of the second-highest record holders). Its not every day that a man plunges into the pool and creates history. 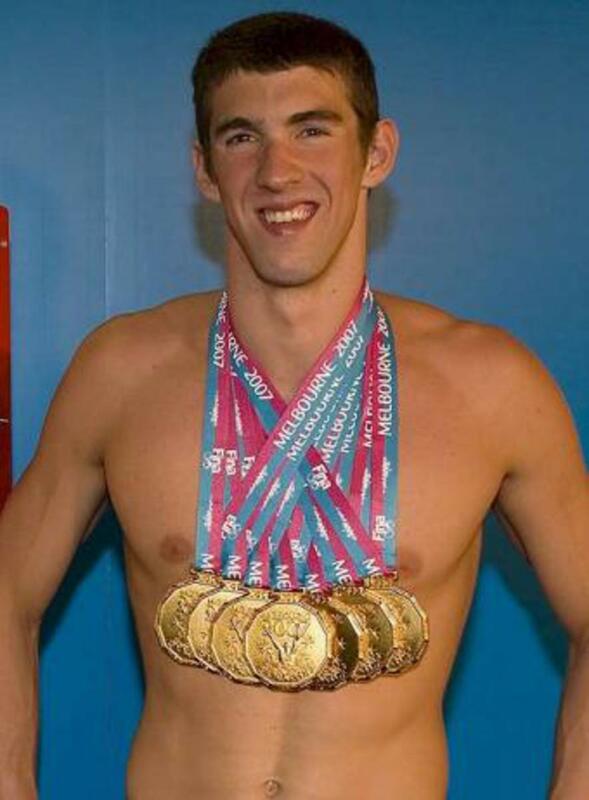 Phelps has not only mastered the art of swimming but he has built his entire soul and body in it. With his unwavering determination and rock solid drive he created tidal waves in the chlorinated and non-chlorinated world. Phelps has created a whopping 39 world records, 29 in individuals events and 11 in group to become the only swimmer ever to do so. Additionally, he established a world mark by being the only Olympian with most number of Olympic gold medals (22), the only Olympian with 11 gold medals in individual games and the only Olympian to win 8 gold medals in a single Olympic Games (Beijing 2008). What’s more, he has the highest Olympic medals in individual events for a male (13). Interestingly, the man who created ripples in water was initially afraid to put his face under water as well. Michael Phelps was born to Michael Fred Phelps and Deborah Sue ‘Debbie’ in Baltimore, Maryland. He has two elder sisters: Hilary and Whitney. While his father was employed as a state trooper, his mother was into the profession of teaching. Young Michael gained his education from Towson High School. It was Fred’s strong athletic capabilities that the children acquired soon enough. Hilary, Whitney and Michael got into swimming at an early age. Though Hilary showed great promise, she opted out of the sport. Whitney took to it for a little longer duration than her sister, even trying her luck to gain admission in the US Olympic team in 1996. However, it was young Phelps who not only took to the sport, but also excelled in it. 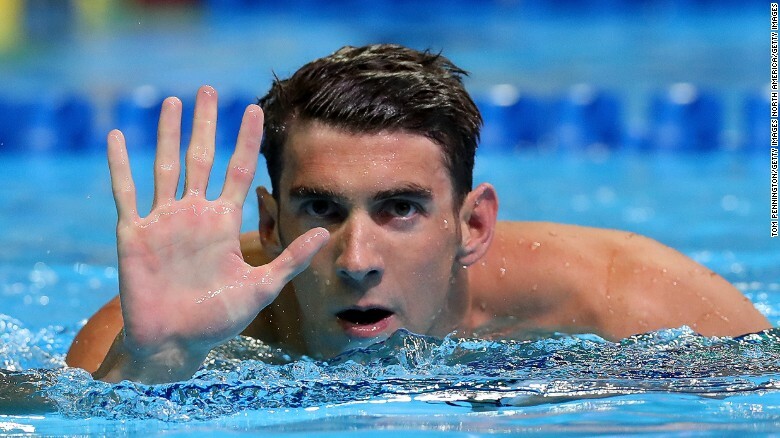 Phelps took to swimming at the age of seven. Initially scared of putting his face in the water, he took to floating in the pool and no sooner mastered backstroke. Just when Phelps seemed to get on with his fear, he was diagnosed with attention-deficit hyperactivity disorder (ADHD). However, he worked his way through the condition along with the help of his mother Debbie. In the early days, swimming to Phelps was more the result of the influence cast by his sisters and his requirement for an outlet to let go of his bundled energy. It was while watching Tom Malchow and Tom Dolan compete in the 1996 Summer Games in Atlanta that Phelps dreamt of making it big by turning swimming into his profession. Phelps took training under Bob Bowman, at the North Baltimore Aquatic Club. Recognizing the capability and potential that Phelps showed, Bowman started an intense training programme with him. Soon, Phelps found himself a place at the US National B Team. The fairy tale start to his career was safely guarded in the coming years as Phelps excelled in the sport and drew limelight at national and international levels. With each success, he climbed the success ladder to reach his dream of making it big. The swimming fraternity got a first-hand taste of Phelps’ brilliance and prowess in the sport at the World Championship Trials for the 2001 World Aquatics Championships. 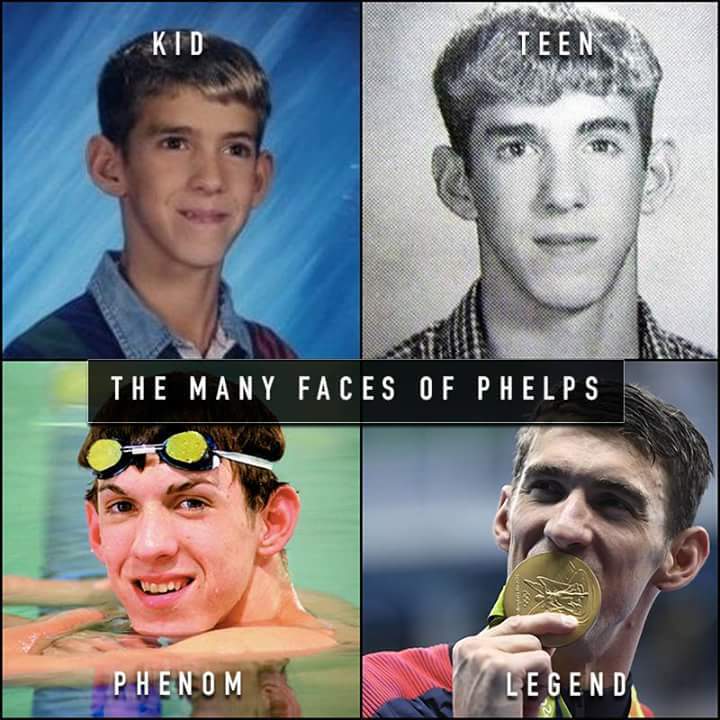 At the age of 15 years and 9 months, he broke the world record in the 200-meter butterfly to become the youngest swimmer ever to set a swimming world record.With each passing competition, it seemed as if Phelps was competing with himself rather than with his competitors to bring out the best. An excellent example of this was when he broke his own record in the 200-meter butterfly at the World Championship in Fukuoka to secure his first medal. In the 2003 World Championship, Phelps won the 200-meter freestyle, 200-meter backstroke, and the 100-meter butterfly. With this, he became the first ever American swimmer to record wins at three different races including three different strokes at a national championship. Same year, in the meet of swimmers from Australia and America, Phelps proved his mettle by breaking the world record in the 400-meter individual medley and 200-meter individual medley. 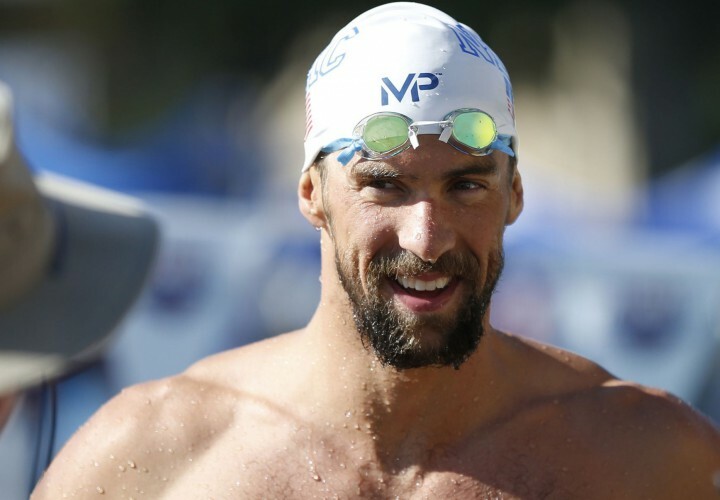 Following these victories, Phelps entered the 2003 World Aquatics Championships in great spirits and bagged himself four gold medals and two silver medals. What’s more, he broke five world records, each time bettering his own personal best. Phelps phenomenal success was unmatchable and already rang warning sirens for veterans to keep up with the pace of this shinning teen sensation! Beginning 2004, Phelps competed in the US Olympic Team Trials. Out of the six events that he participated in (200 and 400-meter individual medley, 100 and 200-meter butterfly, 200-meter freestyle, and 200-meter backstroke), he was selected for all, thus becoming the only American with such a feat. However, he dropped out of 200-meter backstroke to focus on the 200-meter freestyle as he aimed to provide tough competition to Ian Thorpe. He also found his way onto the couple of relay teams. At the 2004 Olympics, Phelps had six gold and two bronze medals in his kitty, thus becoming the second-best performance ever at a single Olympics, behind Mark Spitz’s seven gold medals. Also, he became the second male swimmer ever to win more than two individual titles at a single Olympic Games with four, tying Spitz’s four from 1972. He even broke a couple of world records thus raising his stardom at the sport to an elevated level. Furthermore, his unselfish gesture of giving teammate Ian Crocker a chance have a shot at Olympic gold medal by opting out of the 4×100 meter medley relay finals added a star to the already booming reputation of Michael Phelps. The American medley team set a world record and won the gold and Phelps too was awarded the gold medal since he has raced in the preliminary heat of the medley relay. The triumphant and glorious days of Phelps after the Athens Olympics were marred by his futile drinking and driving expedition. Sentenced to 18-month probation with a $250 fine, he immediately realized that stardom came with its share of pitfalls as well. Phelps was ordered to give lecture about the dangers involved with drinking and driving and was asked to attend ‘Mothers Against Drunk Driving’ meeting. He then followed coach Bowman to serve as the latter’s assistant in the varsity coaching job. He even enrolled himself at the University of Michigan for a course at sports marketing and management. The youngest swimming sensation ever, Phelps had broken several records and bagged numerous medals (gold, silver and bronze). What started as a dream run, experienced an evolvement as Phelps aimed to transform the sport like great athletes Michael Jordan and Tiger Woods had done for their respective games. Phelps’ big ticket for transformation and enrichment of the sport came in 2007 with the World Championship. He contested in seven events, winning a gold medal in each and creating world records in five of them. Throughout the events, Phelps outperformed not only his competitors but himself as well to set personal bests. Phelps seven gold medal haul was a record in itself, breaking Ian Thorpe’s six-medal victory in 2001 World Championships. He won the same for five individual events: 100m and 200m butterfly, 200 m freestyle and 200m and 400m individual medley, and two group matches: 4X100 m and 4X200 m freestyle relay. An eighth medal could have been dropped into his kitty had Ian Crocker not made an early exit from the competition! The same year, Phelps’ performance at the US Nationals Indianapolis, was impeccable as he excelled his own personal best by creating a world record at the 200m backstroke. Just when everything seemed to be candy-flossed and picture-perfect, Phelps fractured his right wrist by accidentally falling on to a patch of ice. His training cycle was interrupted leaving Phelps heartbroken. However, not one to be disheartened, he practiced using a kickboard which acted as a boon as Phelps added a little more strength to his kick. At the 2008 Beijing Olympics, Phelps was the man to look out for as the world awaited his gold medal haul and newer world records! For everyone, it seemed as if the moment Phelps jumped into the pool, a medal and a world record automatically fell into his kitty. However, there was much hard work and labor that went into the same. The following year, Phelps performance at the US Nationals was below par as he lost the 200 m individual medley to Ryan Lochte, whom the world looked upon as Phelps successor. It was Phelps first defeat while competing against Lochte. Unfazed by it, Phelps continued to polish his skills and entered the 2010 Pan Pacific Championship with an optimistic approach. He went on to win five gold medals. Continuing from where he had left, Phelps entered the 2011 World Championship as the man of the event. He mastered both the butterfly events bagging in two golds for his trophy case. Two more came from group races, 4 X 200 m freestyle and 4 X 100 m medley. Phelps lost second time in a row to Lochte in the 200m individual medley who secured a comfortable lead by beating Phelps who stood second for the race and took home a silver. Phelps collected a silver and bronze medal for 200 m individual medley and 4 X 100 m freestyle relay respectively. The London Olympics had a disappointing start for Phelps, as he failed to secure a medal for the 400m individual relay, his first ever since 2000. The 4 x 100 m freestyle relay made up for the loss by bringing home a silver. The disappointment continued as Phelps finished at the second spot in the 200m butterfly, behind Chad de Clos. In the 4 x 100 m medley relay, he swam in the race with the same fierce determination and skill that he did for his first race, leading his team to a victory. The 4 x 100 m medley relay won Phelps his 18th career gold medal and 22nd Olympic medals overall. Phelps was designated as the most successful athlete for the London Olympic Games 2012, his third time in a row. Phelps won a gold medal in the 4x100m freestyle relay, taking his Olympics Gold tally to 19 and overall Olympics medal to 23. On August 9, Phelps won two more gold medals (200 meter butterfly and 4 × 200 m freestyle relay) to take his Olympics gold medal tally to 21 and overall medals tally to 25. On the 11th of August, the US star claimed the 22nd Olympic gold of his Olympic career after powering past the opposition in the final of the 200-meter individual medley. 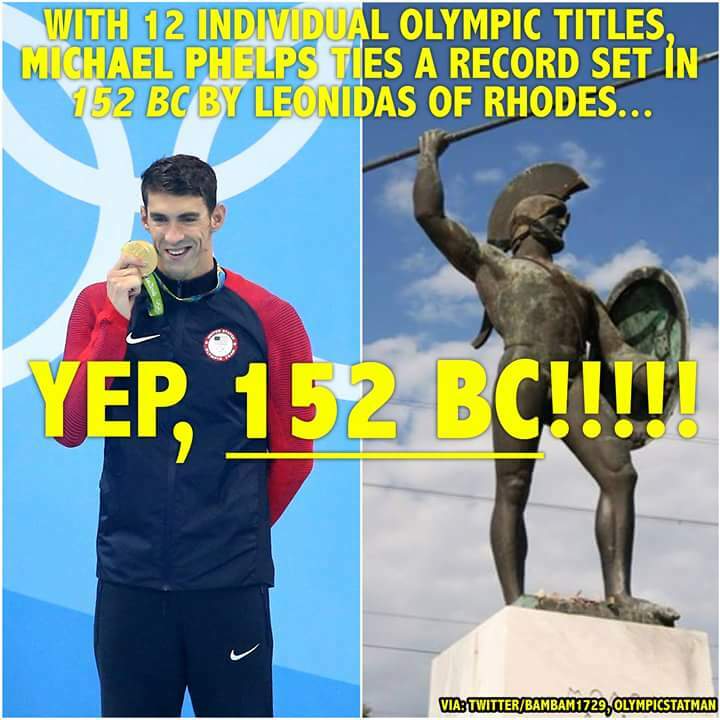 That victory, the 13th individual triumph of his Olympics career, meant he surpassed the greatest athlete of ancient Greece and indeed of the Games — Leonidas of Rhodes. The achievements of Leonidas, a runner who competed between 164 and 152 BC, were recorded by Philostratus the Athenian and Pausanias who told of the his 12 triumphs, according to the official Olympics website. Perhaps in another 2,000 years the stories of Phelps and his exploits will be shared around the table given his astonishing record. Long live the legend. -You can’t put a limit on anything. The more you dream, the farther you get. -Everything is possible as long as you put your mind to it and you put the work and time into it. Your mind controls everything. -If you want to be the best, you have to do things that other people aren’t willing to do. -It doesn’t matter what else is going on. When you walk into your arena or whatever you excel at, you’re there to take care of the job that you have to do. 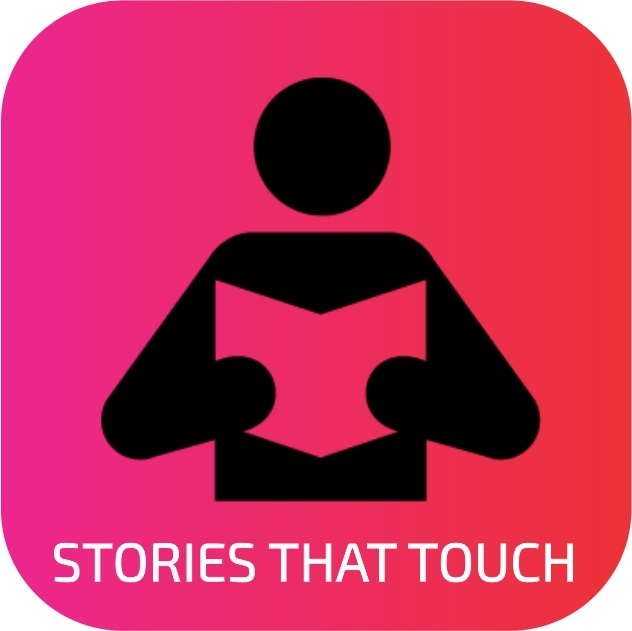 We hope you have been inspired by the story of Michael Phelps in this week’s edition of STORIES THAT TOUCH. What did you learn, how has this story touched you? Share your thoughts with us in the comments section. Reblogged this on emmyluvsu's Blog.